With high profitability and a strong rebound, local banks are becoming tempting targets for foreign investors mulling over stake purchase deals. Early this year, state banking giant Vietcombank wrapped up individual placements for its two foreign partners – GIC from Singapore and Mizuho Bank from Japan – to take back around VND6.2 trillion ($269.6 million) in proceeds. 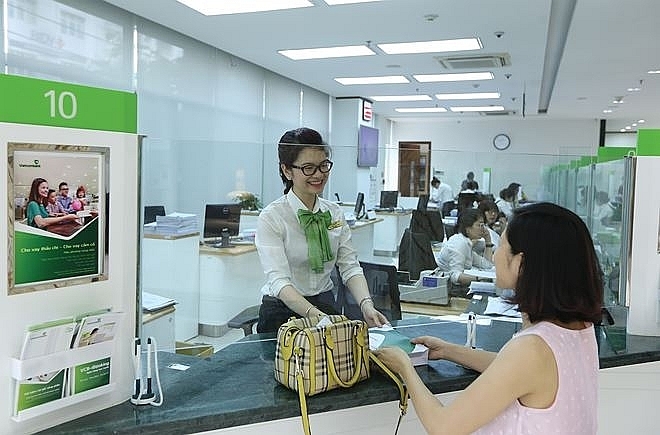 The bank also received the central bank’s (SBV) approval to scale up its charter capital to VND37.088 trillion ($1.6 billion), continuing its plan to grow into Vietnam’s largest bank. In its upcoming annual general shareholders’ meeting (AGM) this year, which is slated to take place on April 26, the bank will continue seeking shareholders’ approval for its capital hike plan as the recent proceeds from selling stocks to foreign partners only account for 30 per cent of Vietcombank’s proposed stock issuance plan. The remaining part will be implemented in the forthcoming months. The market also expects the stake sale deal of another state lender BIDV to South Korean partner KEB Hana to be completed in short order. Last year, BIDV sought shareholders’ approval for a stake sale to raise its charter capital through a private placement to foreign strategic partner KEB Hana. The share volume equals 17.65 per cent of the bank’s current charter capital or 15 per cent of the capital sources in the post-deal period. Not only major state lenders, small-cap banks also prove very appealing to foreign investors, like Ho Chi Minh City-based OCB and Nam A Bank. Nam A Bank’s general director Tran Ngoc Tam unveiled that they would sell stakes to a foreign strategic partner before debuting on the stock market. Last year, the bank contemplated raising its charter capital from over VND3 trillion ($130.4 million) to VND5 trillion ($217.4 million), but the plan has yet to be finalised, so they will continue efforts this year, including courting foreign capital. Current foreign shareholding only accounts for 5 per cent of the total 30 per cent room available for foreign investors at OCB, leaving vast opportunities to foreign investors. In fact, foreign investors always pay special heed to local lenders, particularly those having plans to go on bourse. In the past year, several banks that have been listed on the stock market had garnered hundreds of millions US dollars from international organisations from stock sales HDBank and Techcombank. Accordingly, HDBank sold more than 21 per cent stake to a slew of foreign investors to take back $300 million in proceeds before its listing early last year. The total room available for foreign investors at the bank is expected to be loosened by about 7 per cent of the charter capital, equal to VND900 billion ($39.1 million), in the wake of its upcoming merger with PGBank, providing more opportunities to foreign investors. Similarly, the foreign cap at Techcombank was filled up after teaming up with US investor Warburg Pincus through a $370 million deal before it was listed on HSX last year. At ACB, Alp Asia Finance Limited became the bank’s major foreign shareholder with nearly 10 per cent stake last year after acquiring shares from Standard Chartered Bank. The foreign cap at ACB has reached the 30 per cent limit. According to Moody’s experts, most local banks are short of capital to meet Basel II requirements which will come into force from 2020. Mobilising capital, particularly from foreign investors, might therefore become local banks’ top focus this year.